Hold your reception at a unique venue in central Laval. Our team is on hand to advise you, so that you can enjoy this moment in total peace of mind. A wedding is a unique and magical moment. To make it unforgettable, we use all our professionalism to create a tailor-made reception that meets your every wish. On this magnificent day, where the smallest detail is of vital importance, we invite you to enjoy every instant in total peace of mind, confident that you are in good hands. The chef will suggest seasonal menus featuring beautifully finished products. With its subtle combination of colours and flavours, your reception will remained engraved in your memory and those of your guests. 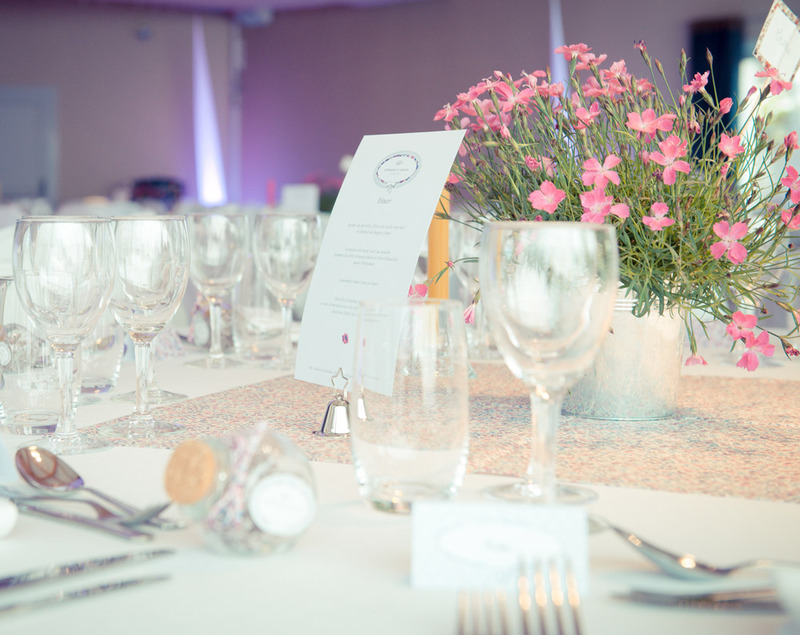 With direct access via the hotel courtyard and private access to the garden, this is the ideal place for a wedding reception. Its hangings, parquet floor and wooden beams give the room a modern, sophisticated feel. We can seat 160 and cater for up to 250 with a cocktail buffet in this area of around 225 m², equipped with plenty of tables and chairs. The room leads onto the terrace, which you can use during your receptions, and is equipped with Wi-Fi. We can provide you with the following equipment: a fixed screen with video projector, 2 HF microphones with a small sound system and a platform. 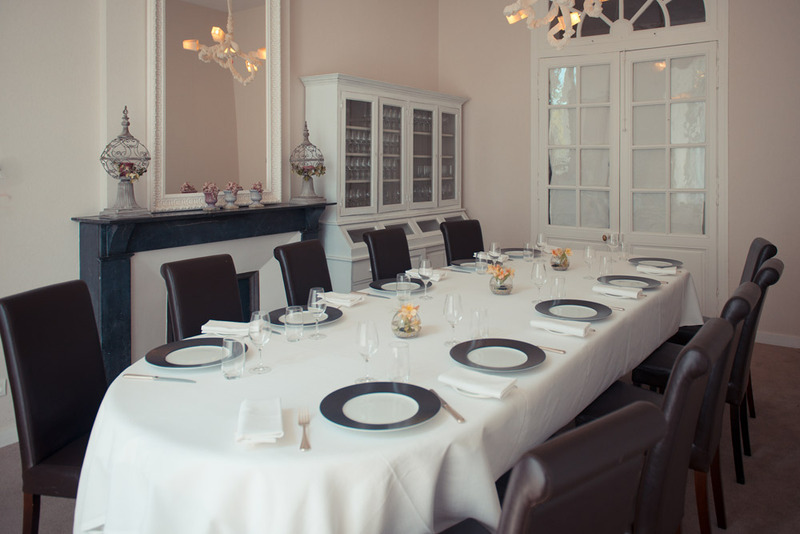 Our private rooms are available for lunch or dinner with family or friends, for birthday parties and christenings. In summer, you can use our French-style garden for aperitifs or coffee at the end of a meal. Enjoying the pleasure of each other’s company with mouth-watering food, and showing your guests how much you care for them – that’s the spirit of these meals, and we aim to make them outstanding occasions. 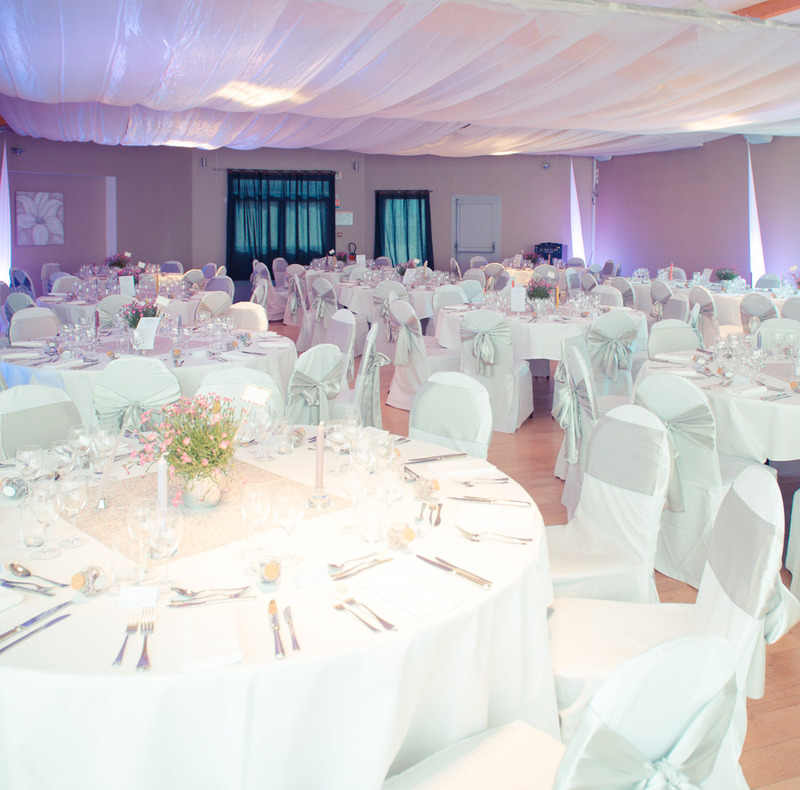 Our wedding at the Perier du Bignon was simply perfect. Thank you all again!